It seems common wisdom that in order for a business§to succeed internationally it should first have§reached a certain size, resource base, and a high§level of domestic market intensity. However, this§book provides in-depth acounts of seven innovative§micro-enterprises that chose to bypass these steps,§attaining remarkable overseas success despite severe§knowledge and resource constraints.§§It demonstrates to managers how the most diminutive§of enterprise forms can penetrate the foreign market§through nurturing and leveraging key relationships in§their value chain. 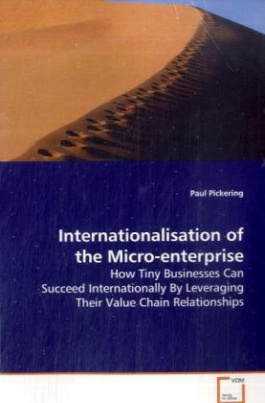 More importantly, the detailed§longitudinal retrospections of each micro-enterprise§reveal that those adopting a social exchange (trust§based) instead of a transaction cost (contracts§based) approach to relationship development attain§better international outcomes overall. §§It should also serve to remind policy makers and§public funding agencies alike of how worthy of§support some micro-enterprises are. In fact, given§that they make up around 90% of businesses in most§industrialised economies, their importance to§economic development should not be overlooked.